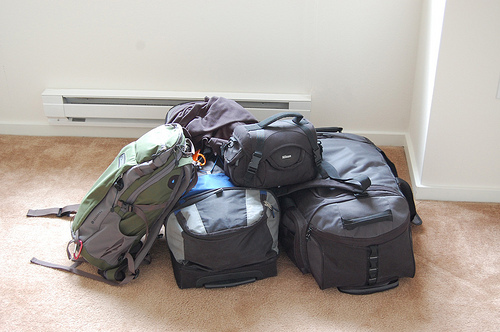 Last Saturday I wrote about 5 quick and easy travel tips I learned that have been really helpful during flights and hotel stays. But that wasn’t nearly enough. So today I decided to post 5 more! 1) Take Stuff You Can Throw Away: Consider packing toiletries and clothes (such as older socks and underwear) that you wouldn’t mind throwing away after wearing. Or pack some of those old t-shirts or sweatshirts you had marked for your next garage sale and consider donating them before leaving your travel destination. Time to edit what you pack! This will free up some much-needed luggage space for souvenirs or the other things you’ll inevitably pick up while exploring. Otherwise you might find yourself thinking about what you can sacrifice. When my mom brought a gorgeous but super bulky jacket to Austria, she seriously considered leaving it in her hotel room. Although she finally decided to just carry it with her on the plane, its bulk and inconvenience had her swearing she’d never bring something like that again. 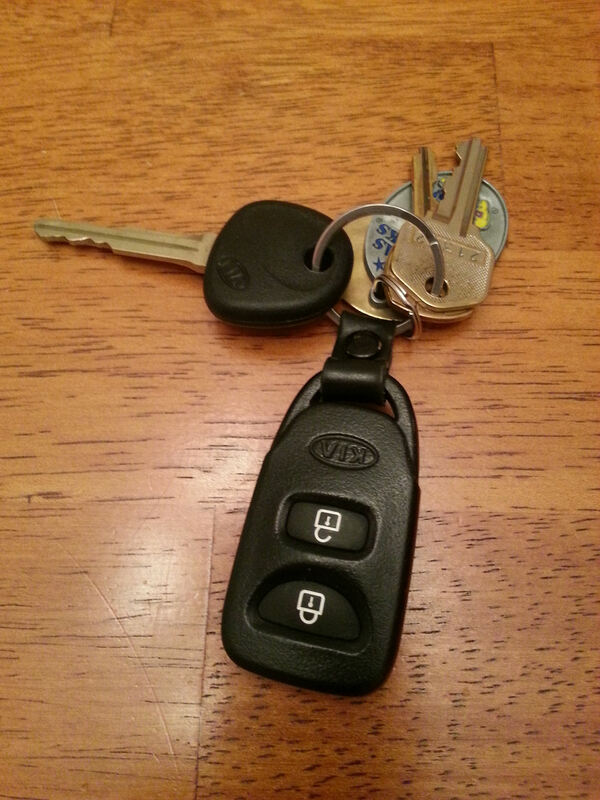 2) Be Careful With Your Keys: Your set of house and/or car keys is the one thing you should never, ever leave behind in your hotel room. Yet, according to a group of top hotel personnel in this Smarter Travel story, it’s one of the 9 things most left. And I’m embarrassed to admit, I was one of those hapless fools. The key to happy travels? Don’t lose these. I decided to keep my keys in the overhead safe in my hotel room for the duration of the trip, figuring it was a simple way to keep them out of the way. But because I put other things in there off and on throughout the trip (passport, extra money), the keys worked their way to the back and I didn’t feel them when I did a last search of the safe before checking out. I assumed they were in my travel purse and didn’t realize what I had done until I was about to step on my plane. Many frantic calls ensued during my layovers and although they were found, mailing them to me meant I wouldn’t have a way to get into or start my car when I got back to airport parking. Between renting a car, finding a friend with an extra set of keys, and then driving 2 hours back to the airport for my vehicle, I think I learned my lesson. When you get to your hotel, ALWAYS zip your keys into your luggage. Simple, right? 3) Walk Around During Long Flights: Even if you don’t think you need to get up, you do. Doctors have been saying for years that passengers need to move around at least every few hours to get the blood circulating and to make sure blood clots don’t form. According to the American Society of Hematology, the clinical name for this type of clot is deep-vein thrombosis. And while it will usually dissolve on its own, rare cases have shown clots that have detached from the veins and traveled to the lungs, where it can cause a pulmonary embolism. This is scary stuff. I woke up the morning after my last flight home from Europe to see large purple bruising on one leg. And if it hadn’t gone away in just a few hours, I would have headed straight for the emergency room. Don’t do what I did – move around! 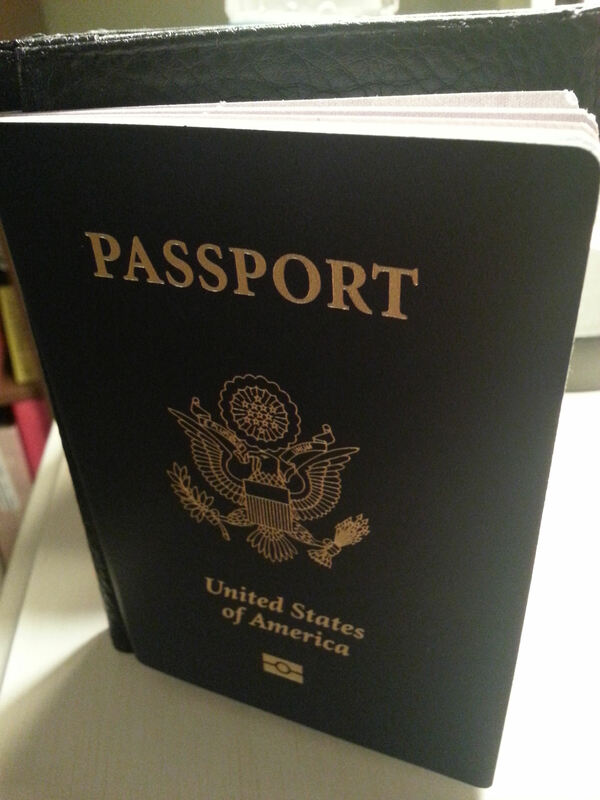 4) Make Sure Your Passport Stamp Is Clear. I didn’t realize until I was presenting my passport for a departure stamp at my connection city of Zurich that my entry stamp 10 days earlier from Vienna was all but un-readable. After several minutes of anxiousness while a group of agents discussed what to do, I was finally given their stamp with the warning to watch out next time. Yes Ma’am! 5) Book a Layover That’s At Least an Hour Long. Airline personnel love to say that 45-50 minutes in between flights is plenty of time to run from one end of a huge international airport to the other end. It isn’t. Even if you don’t have to worry about delays or other interruptions (one of my flights couldn’t find its crew!) during the first leg of your trip, there are plenty of problems waiting for you for the second leg. Gate changes, huge crowds, or even downed escalators or terminal shuttles will often conspire to keep you from reaching your 2nd flight on time. It really is better, and not nearly so exhausting, to be able to stroll leisurely through an airport knowing that you have plenty of time. Grab a meal, shop for a new book or travel gadget, or just stay out of the way of other people running to catch their planes – and be happy that’s not you.